I kinda got a thing for mushrooms. Particularly those of the german toadstool variety. You know, the ones with the red tops with white polka dots. I’ve got them stashed all over my studio. 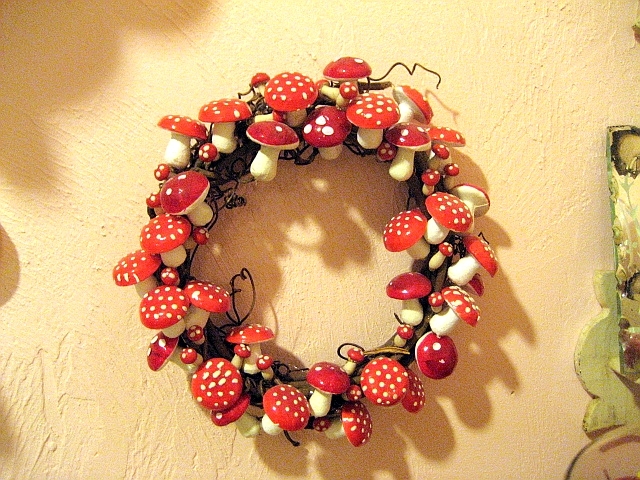 I made this wreath out of vintage millinery mushrooms. Love it! 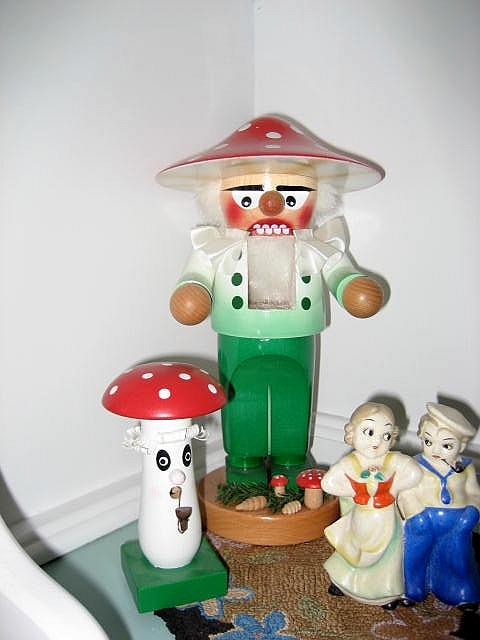 This is a Steinbach nutcracker and a smoker. Cute! I’ve got them stashed everywhere. 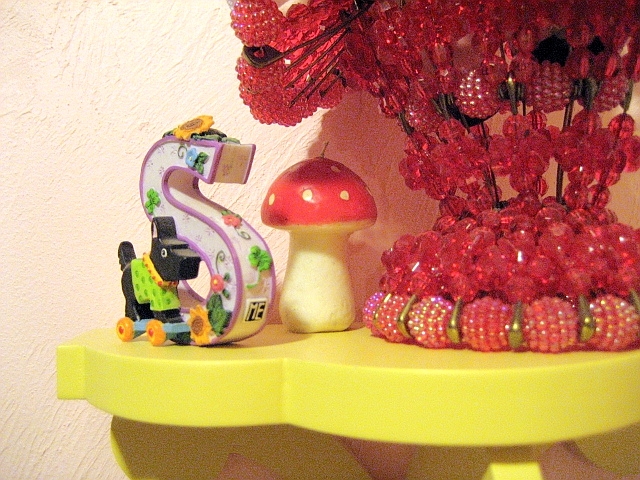 The mushroom wreath is soooo cute!!! I find the nut cracker a little scary (LOL) but, love the others! LOVE the wreath! I have a few of these….need to collect some more to make myself one!!! !